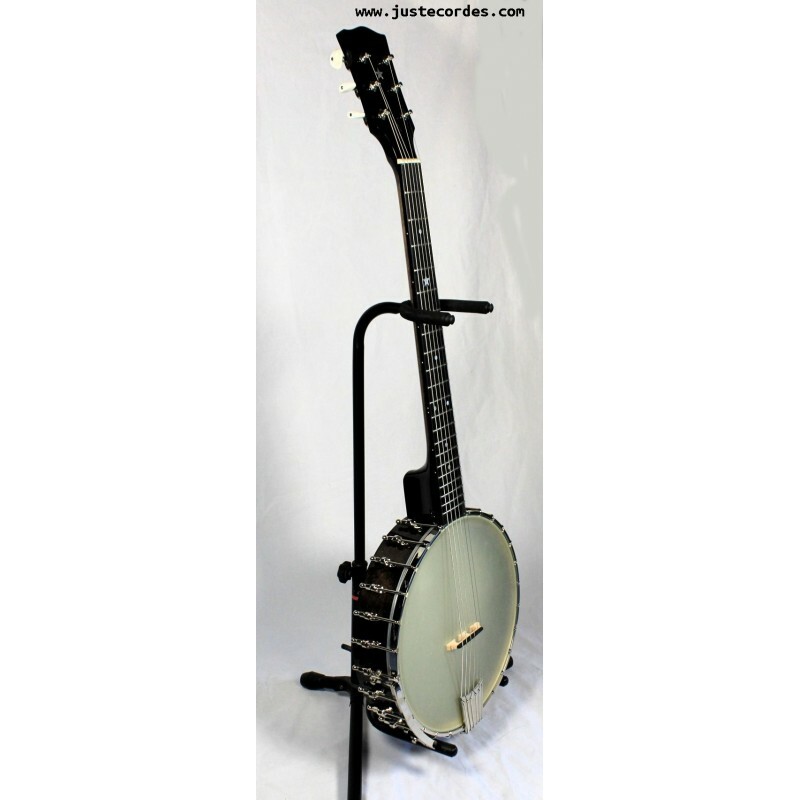 Acoustically, The BT-2000 Banjitar is the best sounding 6-string banjo Gold Tone has ever made. 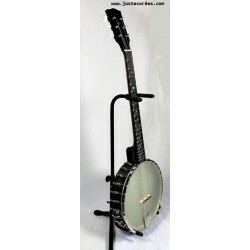 The larger 12” body accentuates the bass frequencies which are normally weak on other 11” 6-string banjo models. The maple rim and 12” rolled brass tone ring provide maximum sound chamber reverberation. Dual coordinator rods attach the neck securely so tuning remains consistent and adjustments are done easily. Other features include an ebony fingerboard, Hot Dog armrest, Renaissance banjo head, ebony heel cap, and a vintage inlay design. This vintage design and slim neck make the BT-2000 a great alternative instrument for acoustic jams. Final assembly and complete setup performed at the Gold Tone Factory in Florida.